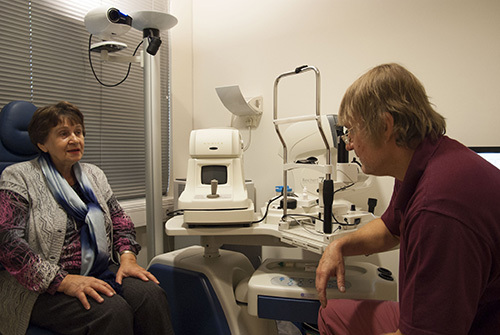 Our ophthalmologists will inspect your vision, examine the fundus and measure the pressure in your eye. In the case of need, we perform extra procedures and dilate your pupils. We are determined to take a good care of your eyes and, if necessary, call you back for regular additional consultations. Glasses or contact lenses will be prescribed to you by an optometrist. Book a consultation online or contact Nõmme Eye Centre by phone: +372 656 7677. We are a contractual partner of the Estonian Health Insurance Fund. Read more about our eye doctors.